It is the evening after a ceremony weekend, or the purge as it is also known, a whole year since my first time sitting with the ancient jungle brew Ayahuasca. There is an egocentric idea in the minds of many people that think that what happens on a medicine journey can be done on ones own. So they watch from the distance and judge. Though, all one has to do is turn on the television for a few minutes of the evening news to see just how good humanity handles things on its own. 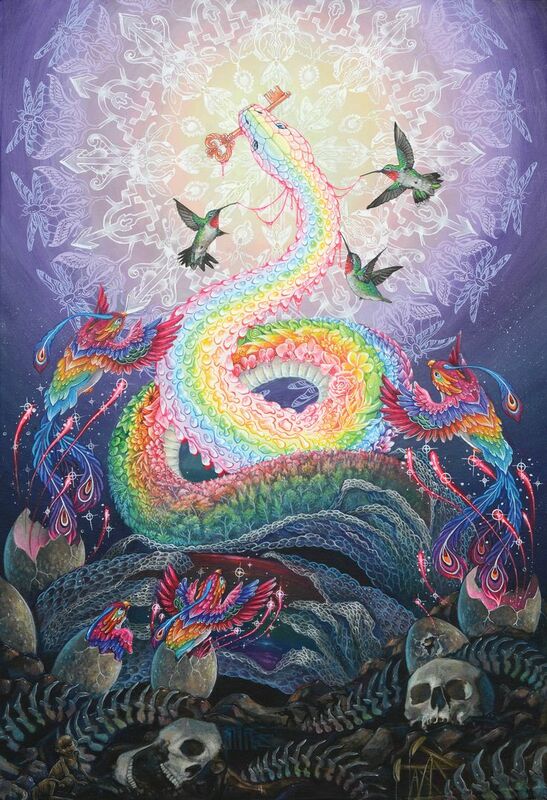 Indeed there are many paths to the deepest awakening of life purpose available to us all during this wonderful age of ascension, and in that regard, it is vitally important to protect this very special one. A knowing of which is only available to you in countless documentaries and articles because our amazon is being destroyed, and thus from the destruction this secret was exposed. 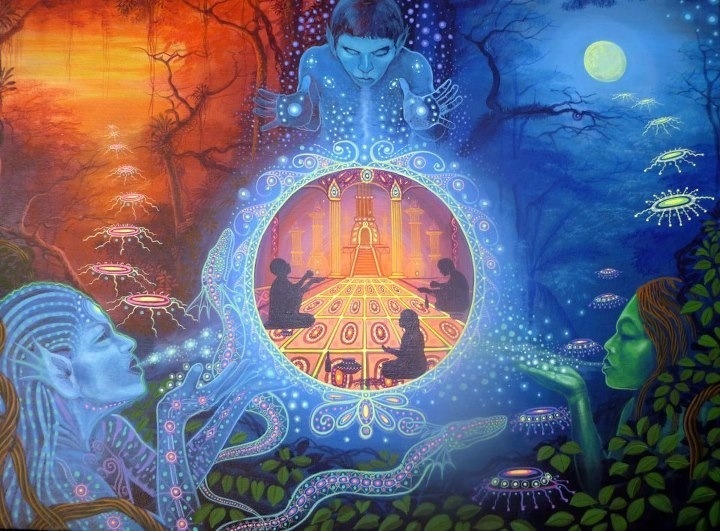 So our plant guardians are reaching out to those who will listen, and that is the calling one hears before drinking Ayahuasca. The subtlety of plant communication made clear in the heart of ones awareness. It is the desire to experience a mode of healing that hasn’t gone through the rational mind of science, or the pockets of big pharma. After a deep betrayal a few years ago, my life began to spiral slowly out of control. I found myself in the company of poisonous people (I fully acknowledge that at times, I too have been the poisonous one for others, so this is not about blame) who did not want to see me succeed. My life consisted of living within a beauty destroying nest of hungry venomous snakes who were addicted to drugs and keeping it a secret. So, step one of my healing, was taking responsibility for the situation I allowed myself to be asleep in due to a lack of self-respect, and a lack of self-love. You see, I wanted the healing for others more than I sought it for myself; dedicated my life to it. Though, what I call “healing” I have come to understand as a remembering of the perfection that is already within, at the time however, I approached it from a perspective of trying to “fix” people, and even myself. The call of the medicine got louder and louder during this time, and after a failed attempt at raising the funds to go to Peru, I began to fine tune my intent. I allowed into my awareness the possibility that maybe these kinds of ceremonies were being done in the U.S.A but underground, and I was right. 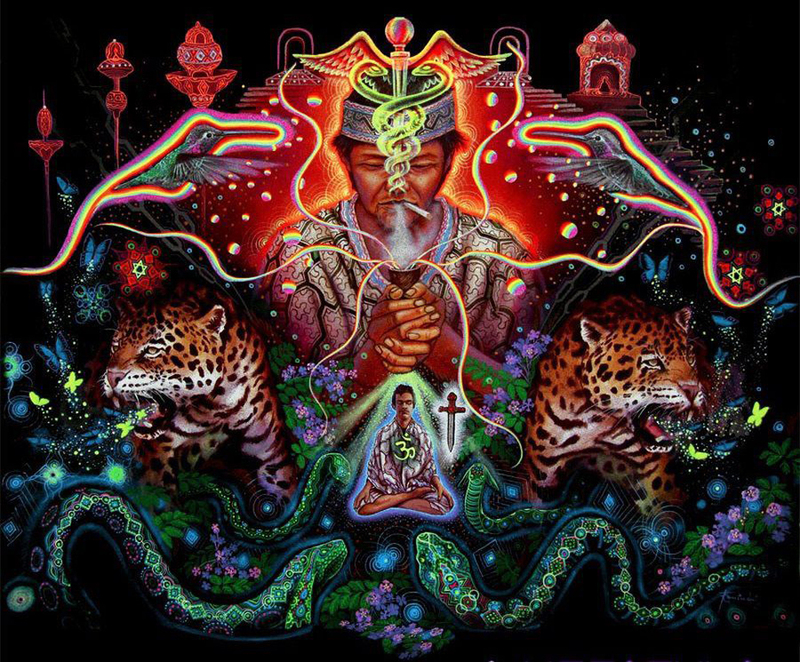 Though I will not go into specific details due to our current laws around entheogenic compounds, I will say that working with Ayahuasca was not my first mind altering experience. Though, heart altering is a more accurate description. In fact, these experiences have been pivotal in the unfolding of my ability to forgive and be a vibrating source of tireless love for so many in my life. Meditation has also been a vital tool for the integration and application of entheogenic experiences that forced me to break open my human level of compassion by contemplating the kind of compassion it takes to be a planet. So when I weigh the ability of our planet’s heart to give, next to the ability of my own heart to give, I see that the room for growth is infinite. A heart full of pain can not support life. So, meditating on planetary compassion now comes with a richness of layered meaning that wasn’t available to me before. Yet I understand that “the planet’s heart” is still a foreign concept to some. If even just a thought, it is a beautiful thought that if integrated into ones awareness, and the awareness of those in positions of power specifically, the destruction of our forests would not be happening, nor would the bombing of each other be a real thing in our world. I can write pages upon pages of the images I’ve seen during these journeys, and speak to you of the ancestors greeting me with joy. However, the message that came through after a year of clearing childhood traumas, stepping into my path as a shaman and more, was: Remember what you didn’t see. After a year of repeating the message “remember what you see” La Madre Medicina flipped it on me! I am not only in awe of the teaching, but in how it was delivered. How is it that a plant remembered its place in the pages of the book of inspiring my life? How does it remember where it left off, and continue teaching months later? We are being called to remember that beyond the perceivable spectrum of light, there is still light. We are being called to remember that beyond the perceivable spectrum of sound, there is still sound. We are being called to remember that beyond the perceivable spectrum of feeling there are still feelings unknown, untapped – the uncharted territories of creation. Entire worlds dwell in lightless silent spaces. It is from these spaces that the complexity of imagination has its origin, and is then made manifest in our physical reality. So a year later, I’m still with the same lovely community, and I’ve made some very special friends who understand me, and support me blossoming into more than I ever imagined for my life. I sometimes sing in ceremony and play my steel tongue drum Tully, her name means peace. Thanks to Ayahuasca I got over the fear of being a musician, and in allowing my heart to sing, I help others do the same. You should see me banging my djembe down the street, playing my didgeridoo for the neighborhood, or playing Tully in the subway. After a year of this work, I am happy to say that I feel like it is wonderful to be myself. I used to hate existing, and that is now a thing of the past. La Madre. La Medicina. Gracias Gracias Gracias.